Years before I found out about my husband’s serial adultery, I’d already survived several dream-shattering storms. My firstborn child was stillborn. My second was diagnosed with autism as a toddler and my fourth with a learning disability. Then, my father died of pancreatic cancer. Like any good Floridian, I learned how to weather these hurricanes. I dug my roots deep into God’s Word, crawled into the shelter of His arms, and let Him strengthen my spiritual and emotional muscles. Only after the disclosure of my husband’s infidelity could I see and understand how my omniscient God and Father used those sun-showers to prepare me for the four-year monsoon I was to endure. 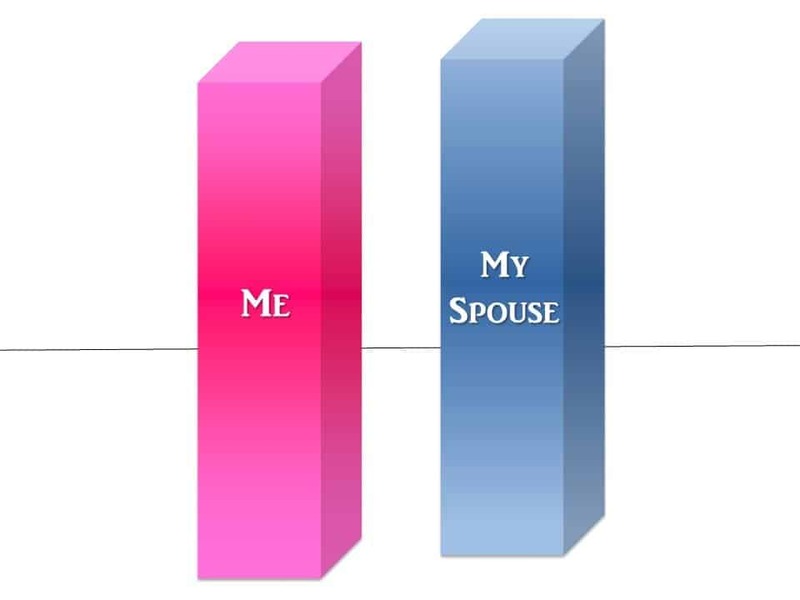 I now attend a weekly spouses’ support group where we call the day we found out about our spouses’ sexual sin our “9/11”, the pivotal and historical moment when our entire lives went through a tectonic shift. The reference is uncanny because, prior to my 9/11, my husband and I were twin towers—two separate entities allied by name but not truly connected. And just as the collapse of the Twin Towers woke up Americans to how ignorance and lack of vigilance left gaping holes in our borders for enemies to infiltrate, so the collapse of my marriage woke me to the sins I’d inadvertently let slip through the neglected walls of my relationship with God and my relationship with my husband. There are only two things you can do after such a catastrophe—abandon the site altogether or start the long and difficult process of rebuilding. While I brooded over the barren landscape of my marriage, I realized God wanted me to rebuild. Not my marriage with my husband, at least not yet; that would take two willing people, and my husband was as yet unrepentant. No, God wanted to rebuild our marriage, His and mine. He wanted me to pull out my shovel and dig down into my spiritual foundation to rebuild it the way He designed it. I was broken, beaten, poor, and naked—the perfect condition for God’s four-year mega-project to teach me how to become complete in Him emotionally, spiritually, and even physically. If your birth dad was there for you throughout your childhood, if you had a loving relationship with him that included unconditional love and acceptance, and if he set you an example of godliness, you are in the minority in this world. Many of us grew up without one or more of these conditions, which left a void inside us. Consequently, first as children and then as adults, we instinctively looked to others to fill this vacuum. I looked to men, especially male authority figures, to tell me what my dad neglected to communicate—that I am accepted, loved, and beautiful. My father was emotionally distant; it was what his father taught him. Therefore, I sought validation and worth from my husband, Russ. Not only was it unfair to lay such a responsibility at his feet, it was impossible for him to meet this need; he himself was equally deficient. Only after our separation did I recognize these core wounds from my childhood and begin to let God heal me emotionally and spiritually. Tenderly, He exposed each unfulfilled need in my heart, gently showed me how I had misplaced them, and lovingly brought me back to seeking my worth and completeness from Him alone. God also sent me new acquaintances via my support group and sisters from my church who were all walking a similar journey. We quickly became dear friends. Lying alone in bed after 19 years of marriage made me feel like an exile. Worse were the thoughts that plagued me night after sleepless night, wondering where Russ was. I had to find a way to rest so I could heal and be what I needed for my children. Because the night sky reminded me of God’s power and presence, I decided to bring it into my bedroom. I bought a package of glow-in-the-dark stars and splayed them across my bedroom ceiling and walls. My nights were never the same. I felt God wrap his arms around me and cradle me. After a week, I started putting my kids to bed earlier so I could spend more time talking with my First Husband until I fell asleep. And just as deliberately as God comforted me, He protected me. When Russ and I declared bankruptcy halfway through our separation, I was able to retain our home. God shielded me and my kids from numerous repercussions of my husband’s sin and provided for us financially, so we never lacked food, utilities, or even gifts during the holidays. God is the Master Engineer. While my massive reconstruction was going on, He was simultaneously reforming and restoring Russ. But just as passersby only catch glimpses of a building going up in their neighborhood, so God only revealed snippets to me of how He was moving in my husband’s life. God was the Father to my prodigal husband and welcomed him back into His arms when Russ found himself eating the veritable pig slop of a failed business and an immoral relationship. The fleeting glimpses of Russ’ repentance that God revealed to me bolstered my faith and reminded me even in my weakest moments, when I couldn’t see how in the world He was going to pull this off, God was still in charge, on schedule, and working toward completion. Almost four years to the day that our marriage collapsed and we separated, my husband and I were reconciled—our doors were open to a whole new world of possibilities. A beautiful memorial now sits where the Twin Towers once stood. For some marriages, resurrection and reconstruction are beyond the scope of the couples’ vision or power. Too much damage has been done. But we serve the God of the impossible. I reasoned that if He could raise Christ from the dead, He could do the same with my marriage. It’s been 2 ½ years since our reconciliation, and Russ and I are closer now than we’ve ever been. Rather than two separate towers with no connection, the very shape of our relationship has been transformed to the strongest structure in physical science, the triangle, with Christ as our cornerstone and the Scriptures as our shared foundation. With God, we have re-laid our foundation, and because we’re both moving toward Him individually, we’re also moving toward each other. Because of the very nature of this world, I know more storms are inevitable. This time, our mutual foundation is solid. No matter what the future brings, I’m confident—together with God—we can handle it.